During the winter months, Dylan prefers exercising indoors. However, from spring to fall, he’s outside running and relies on MetroLink to get those miles in. In the warmer months of the year, Dylan drives to the Skinker MetroLink Station near the campus of Washington University and parks his car. He then starts his six-mile run toward the Gateway Arch, primarily using Lindell Boulevard as his race track. After he finishes his run, he boards a MetroLink train at the 8th & Pine MetroLink Station downtown. His train ride back to the Skinker MetroLink Station is his chance to catch a breath. 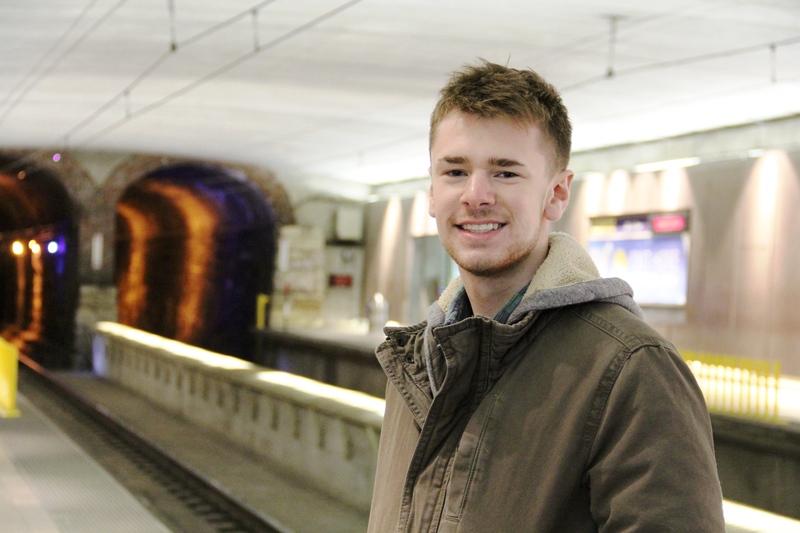 “I don’t always use it for commuting, but I run a lot,” Dylan said. In addition to being an important component of his exercise routine, Dylan also uses the train to visit friends in the Central West End or to enjoy events in downtown St. Louis. “It’s a nice way to commute without having to take a car,” he said. Dylan has always found the light rail system fascinating. To him, it’s more than just infrastructure. In addition to its special qualities, MetroLink also provides Dylan with piece of mind and a bit of social interaction you wouldn’t normally get while stuck in traffic.